A couple of weeks ago I saw a post on the Central cyclo-cross league informing riders we were eligible to race in the Southern regional champs in Swindon. I decided to see if I fulfilled the selection criteria, which was result based, and submitted an entry. My recent form has been fair considering I had carried a cold for a month (a new record for me) but I have scored some BC point in the last few races (I currently sit in 10th place overall for my category in the league, not too bad seeing I had missed three rounds as well as being such a brave soldier and racing with a cold). A few days before the race my entry was accepted. I was looking forward to racing for the first time in a regional championship, I decided I would be happy with a top 20 finish. A frosty but sunny Saturday morning welcomed the early arrivals at the event. A ride of the course revealed a healthy mix of switchbacks, long grassy descents and climbs and even a short single track section through a wooded area. Limited chance for a recovery breather anywhere though .... Just to add some interruption to the lap was a very short steep up ramp, followed by a corresponding short steep down ramp offering peril for the unprepared to fall while carrying a bike with lots of pointy metal components on your shoulder (well this is cyclocross after all). Here's John's report on the seventh round in the Central Cyclocross League. The weather gods were kind again for my third foray into the world of Cyclocross at the good looking venue of Shuttleworth College, near Biggleswade (and Old Warden airfield – an occasional NBRC club run café stop). Bright sunshine and a lack of rain for the days leading up to the event promised a course in healthy condition – it was a bit chilly though and the assembled riders were all positioning themselves in the sunny spots to bask while waiting for the grid to form! Icknield Road Club (the round organisers) published the proposed course online ahead of the race so I’d spent some Google map time convincing myself that this wasn’t going to be my CX wake-up call. Following good results in my first two Novice category races on ‘home turf’ at the MK Bowl where I felt familiar with the course (I’ve ridden the Bowl many times in MTB races - although some years ago), I was under no illusion that I had to treat this one with respect …. 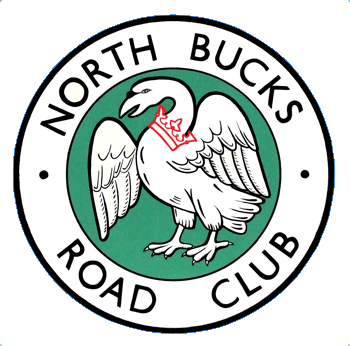 Being the only representative of the North Bucks at this round it falls on me to report on the latest round of the Central cyclo-cross league. GC Henley hosted the eighth race of the league at Dinton pastures near Wokingham, a venue seventy odd miles from home. The week running up to this race I did no training because of a stinker of a cold that I picked up the previous week, it had moved from my head and settled in my chest in for the duration. I had snapped my chain riding to the station on Thursday morning (requiring me to shoulder my 10 kg fixie and run the last quarter mile to catch my train) on top of this I had also managed to strain a muscle in my back, somehow, in my sleep. Not feeling good about much, I had dragged myself to work all week so I figured if I could drag myself to the race it would cheer me up a little. Here's Nathan's report on the fifth round in the Central Cyclocross League Round 5. Arrived for round 5 feeling a little under the weather, but decided to ride anyway as conditions were fine and dry, if a little chilly. The complete opposite of last weeks event at LBRCC. I rode a practice lap with two guys I’d regularly found myself battling with over the last few races, Mark from Bossard Wheelers, and a guy called Neil whom I think is unattached to a club. We chatted as we scouted the layout, which was very technically challenging with a very fast tarmac start, followed by a number of off camber turns (both down and uphill) in the first section, including the corner that saw me stuff my chances of a good finish in the last race at the bowl. A second fast tarmac section gave little chance to recover, but I expected this would be where I could make time/positions up as I’ve previously been stronger through the fast sections. The course then featured a steep climb through the wood, which would require a dismount, before remounting, and riding through a twisting downhill section. Once descended it was flat out into a U turn, then back up the side of the bowl with a twisty ascent, before coming back down and gathering some speed where the boards lay in wait after the final corner and just before the start finish straight. The fine conditions, meant that grip was in abundance and I was happy with the intermediate challenge grifo tyres I was running, unlike the week before where the quagmire meant I felt I was riding on ice!